There’s something about a Miami party; the sights and the sounds, the atmosphere and feeling that you get as you dance the night away. 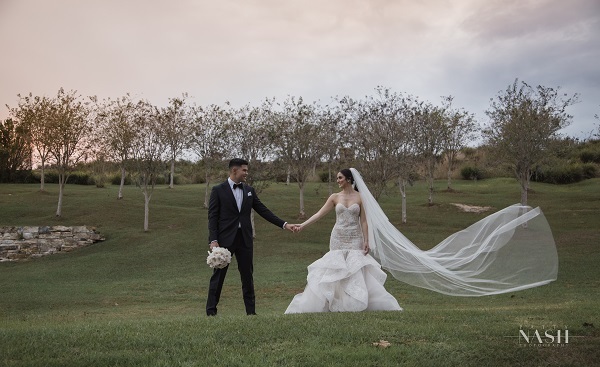 It was just what my bride and groom wanted for their fall wedding at the beautiful Bella Collina Country Club. Spicy Miami heat with classic Tuscan elegance. 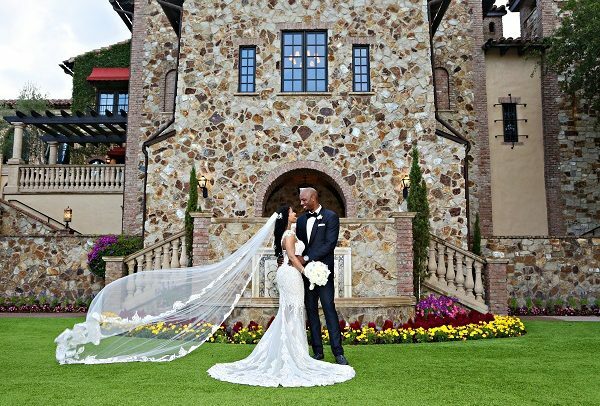 Chanel and Chris’s wedding was all about the details! 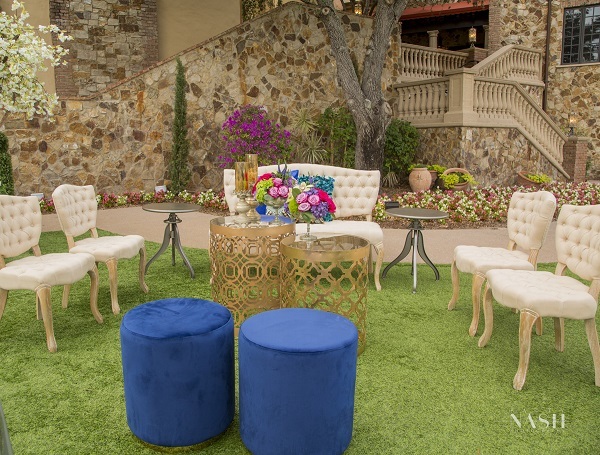 Working alongside with some of my favorite wedding vendors and a few news faces, we created an evening filled with fun, dancing and confetti; just what the bride had envisioned! 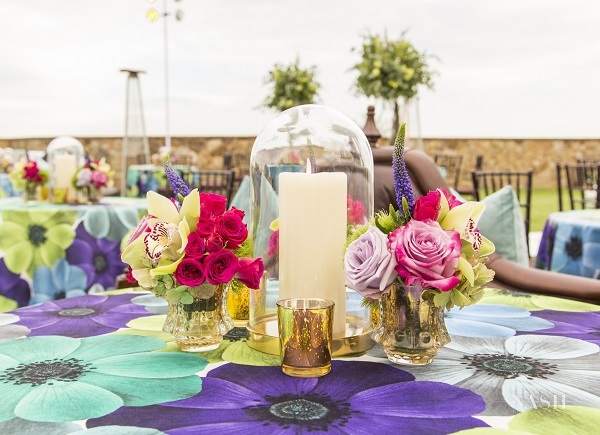 From the moment that the guests arrived and were seated at the colorful tables, surrounded by bright floral designs and decor from the talented Jose Graterol Designs, to the last dance under a shower of confetti; it was a night that their guests will never forget. The outstanding Patty Nash Photography captured the evening’s details perfectly, in case they needed a reminder though. Chanel and her ladies got ready together and enjoyed the special time together. 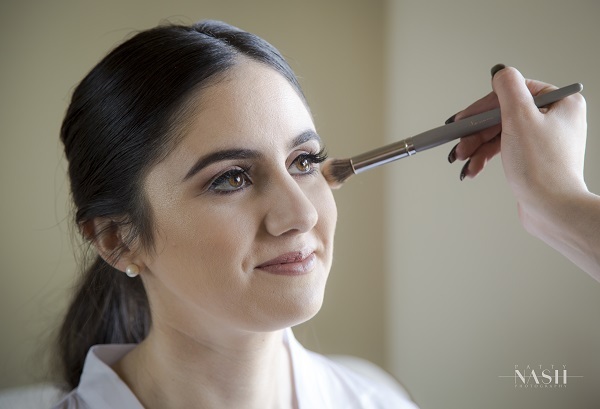 The laughter echoed through the private home as they had their hair and makeup done. 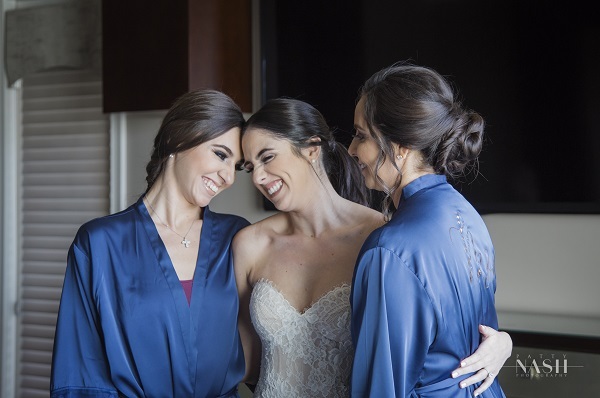 These are always such sweet moments to cherish with your bridal party. 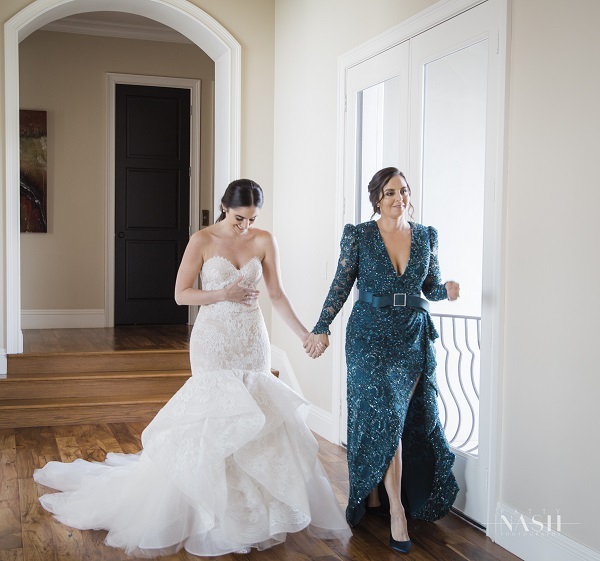 When Chanel walked out in her gorgeous strapless Monique Lhuillier gown, hand-in-hand with her mother, it was the perfect start of her journey to her sweet groom. 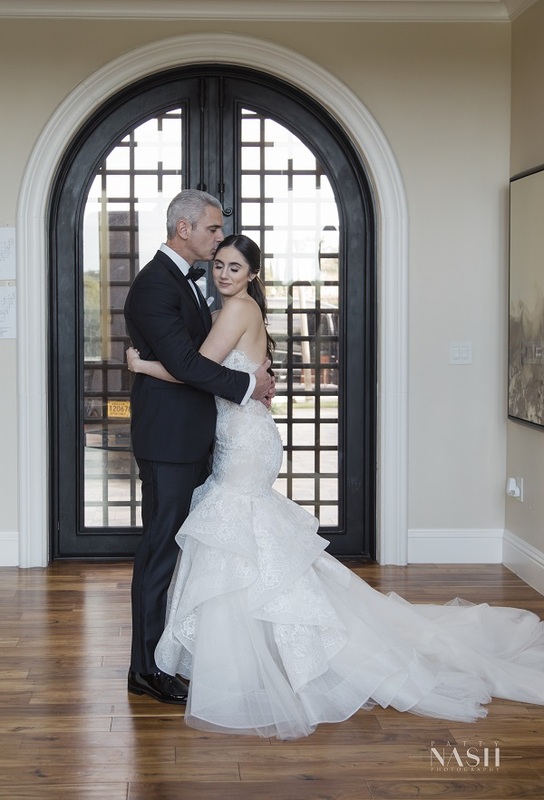 Stopping to embrace her father, it was a sweet tender moment that I was honored to witness. 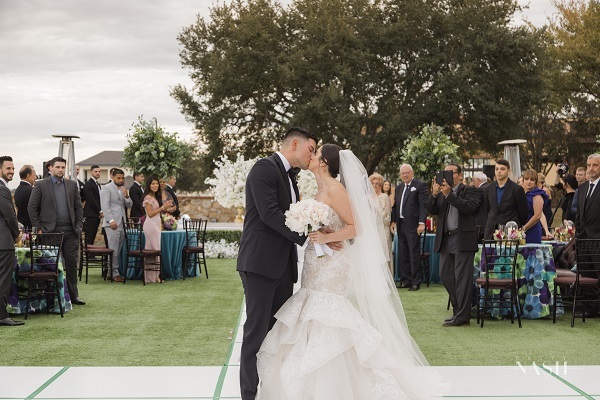 Now, I get so excited when I get to try new things so, when Chanel and Chris said that they wanted to have their ceremony, cocktail hour and reception all on the lush lawn of Bella Collina, I was giddy with excitement. 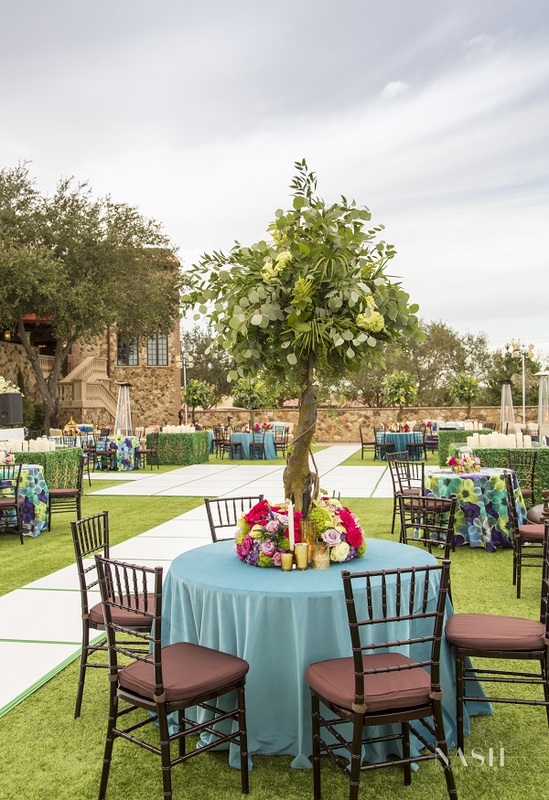 This would be the first time that an event held at this venue would host all three elements of the wedding in the same space; the guests would remain on the beautiful lawn all evening. 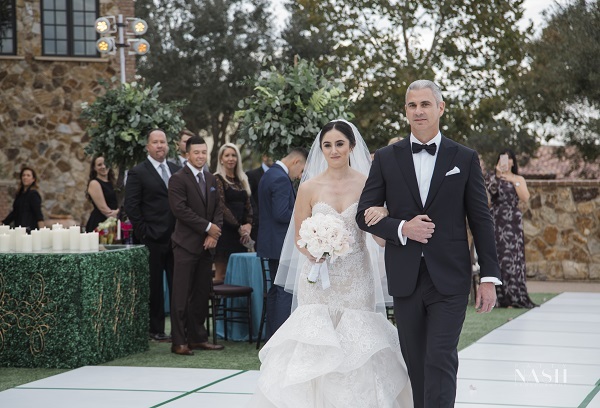 Chanel and her father walked down the gorgeous custom made aisle, towards Chris awaiting on the stage. 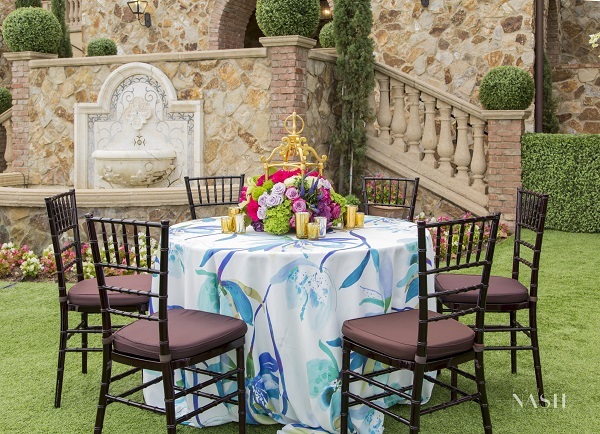 The sweet ceremony performed by Steve Swan from Swan Weddings was memorable and lighthearted. 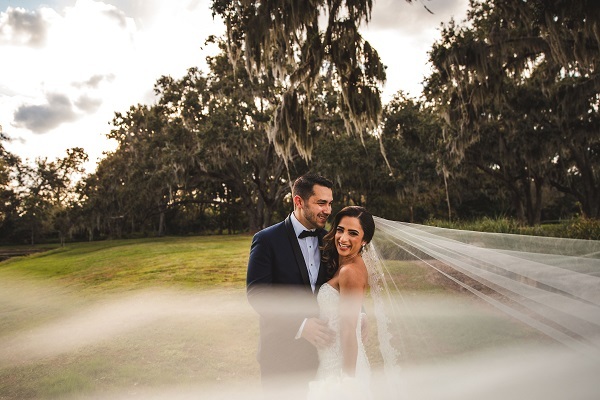 In front of all their family and friends, the couple exchanged vows and sealed it all with a sweet kiss. After the ceremony, the party officially started! 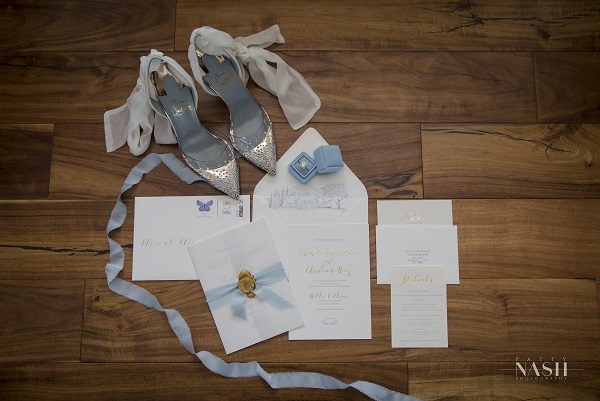 Confetti blasts rained down on the dance-floor not once but three separate times! The team from Power Parties DJs Lighting and Photo Booths made sure that the bride, groom and all their guests had a fantastic time! Chanel wanted to dance the night away and from the video captured by Merge Social, that is just what she did! 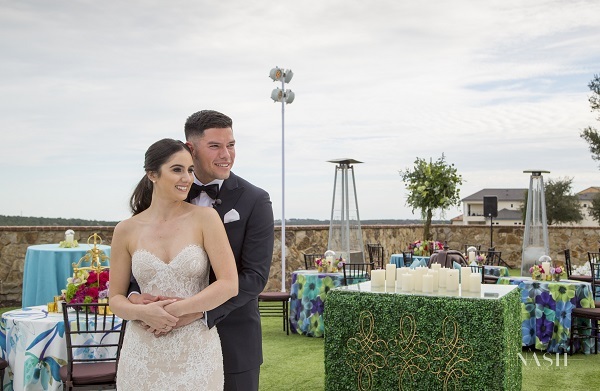 The celebration that surrounded this happy couple was full of energy and life! 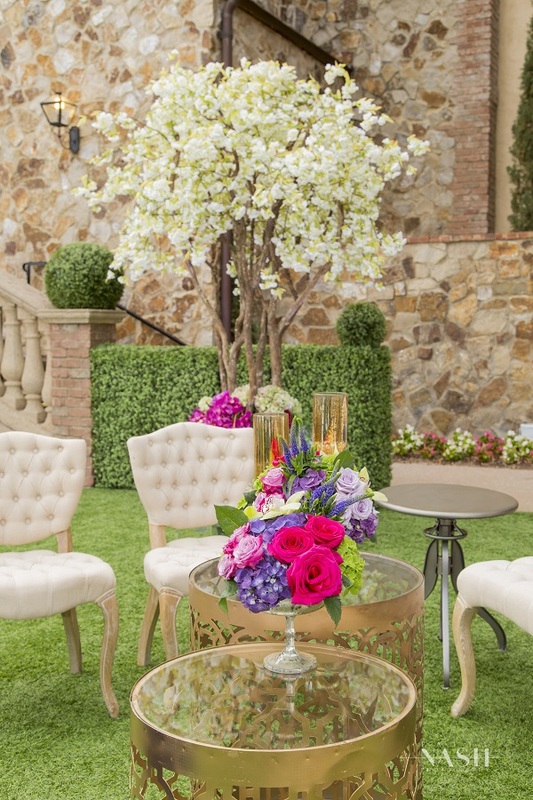 It was so exciting to plan this wedding celebration of Chris and Chanel. 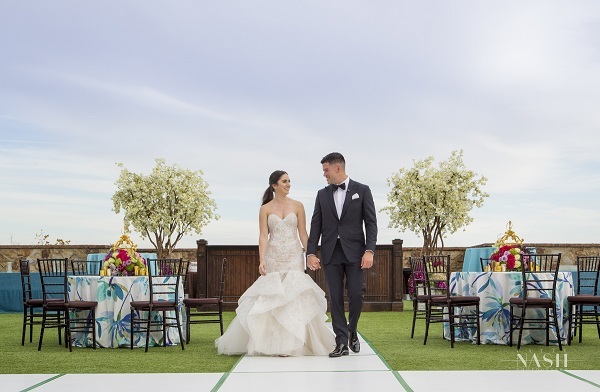 I loved being a part of such a fun and vibrant wedding and wish this couple many years of love and happiness…and dancing!